Our web design team will work with you to create a custom web site design that makes your business look great. With over 30 years of combined experience designing and marketing websites, we will provide you with guidance on the best practices for website layout, functionality, user interface, placement of calls to action, and forms to improve lead generation. Your website will be built on the WordPress platform, the most popular content management system (CMS) in the world – supporting over 60 million websites. This means your website will be widely supported by many hosting companies, and website designers. In addition, it is probably the easiest, most intuitive platform for you to learn. You don’t need to be a programmer to make simple changes to your website. Working with you to implement new promotions and features to improve results. a team that has the creative and technical expertise to deliver a functional solution. an experienced team that isn’t going out business any time soon. Statistics show 80% of businesses fail in the first 5 years, 80% of the remaining 20% fail in the next 5 years. Radical Webs has been building website solutions for 18 years, that means we are in the 4% that make it. Initial Consultation: to establish your needs and ideas. Planning: Map out the site architecture and functionality. Develop plans for custom programming and plugins needed. Estimate: Create website design estimate. 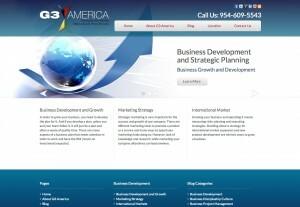 Design Phase: Develop custom website design and graphics. Construction: Install WordPress and build website according to the plan. Content: Add content provided by client. Client Review: review site and make any final changes. It’s simple! First complete the form on the right to let us know you are interested. Next one of our website design experts will call you to answer any questions you may have and explain the process. A copy of your logo. Preferably as an .eps or .ai file (You may be able to get this from your printer. If you don’t have that then send us whatever you have and we will let you know if we can use it. If you need a logo design, we would be happy to help you. Text for each page of your website. Ideally you want about 4 or 5 paragraphs per page from an SEO (search engine optimization) point of view. If you need help creating your message we have copywriters we can refer you to. Any photographs that you want to use on the site. If you don’t have your own images you can always find some reasonably priced images over at iStockphoto.com or Dreamstime.com. If you need a photographer to take professional pictures of your team, workplace, products or services, we have photographers who can take exceptional images.